Teachers in Upper Darby School District rejected a contract offer from the school board. A simmering dispute over whether teachers in the Upper Darby School District are underpaid boiled over as union members in Delaware County's largest school system overwhelmingly rejected a tentative contract offer on Monday and made plans to stage a protest at Tuesday night's scheduled board meeting. Just over 80 percent of Upper Darby Education Association members voted to reject the board's latest proposal, which would have boosted teacher pay by a total of almost 3 percent over the next four years – not nearly enough, union leaders argued, to stop the flight of the most highly trained educators to affluent nearby districts. Zeek Weil, a regional leader with the umbrella Pennsylvania State Education Association (PSEA), said teachers who voted against the offer are unhappy that the Upper Darby district – which recently said higher-than-expected turnover had netted more than $4 million in savings – isn't proposing to invest that windfall in better pay and benefits to keep them. "A lot of teachers come to Upper Darby, get their master's degree, and move to another place," Weil said in the wake of Monday's rejection. "From the district's perspective, it's a real challenge." 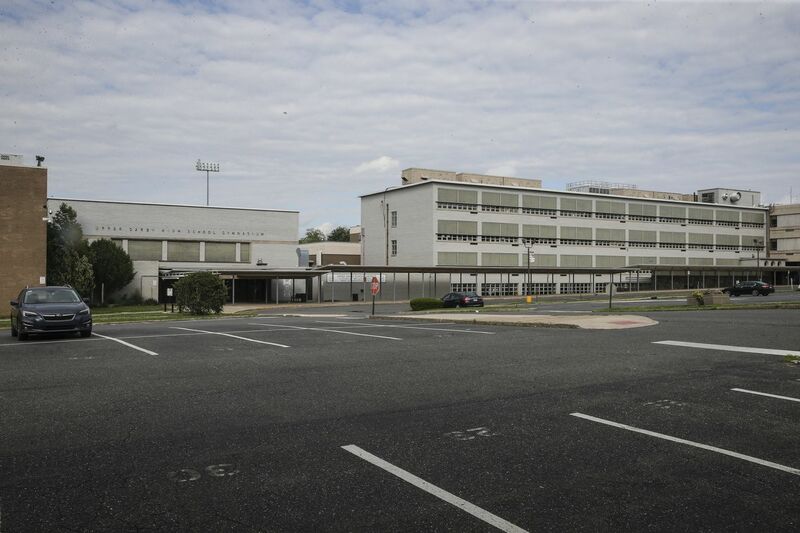 The 960-member teachers' union in Upper Darby has been working without a contract since its three-year agreement ended in June, although union leaders said that negotiations leading up to Monday's vote had been going on for more than a year. In a statement after the vote, union president Melanie Masciantonio said some teachers in the roughly 12,000-student district on Philadelphia's western border barely make $50,000 annually after 10 years on the job, which falls short of paychecks in other suburban districts, and that "hundreds" work a second or even third job to make ends meet. "How can you deliver a high-quality education under the working conditions present in Upper Darby schools when you are forced to work two and, in some cases, three jobs to make ends meet?" she said. "This isn't what's best for our members, for our students, for our schools. The district is saving dollars in many places; it has tens of millions in its fund balance, it's time to spend a fraction of it on the dedicated teaching staff that handle this community's most important asset—its kids." Mark Fitzgerald, the district's labor lawyer, said that school officials were disappointed that teachers voted down the proposal and that they looked forward to hearing from union leaders what the shortcomings were in the contract and getting back to the negotiating table. "I think it was a very fair offer. …One of the goals of the board was a combination of a fair contract for the teachers as well as a sustainable one for the community," he said. "We believe that combination was embraced within the proposal." In late November, school leaders disclosed that the district is on track for a $500,000 yearly budget surplus that's been fueled largely by the exodus of more than 80 teachers – 55 of them with master's degrees – that had saved Upper Darby roughly $4.47 million in salary and benefits against what had been initially budgeted. "Hundreds of teachers have moved on from the district," the PSEA's Weil said. "A lot of those spots have not been replaced, not because the district isn't trying – they're making every effort to hire — but this is a broader issue of a teacher shortage" that is being exacerbated by low salaries. The average Upper Darby salary is $62,303, while the average in Delaware County is $73,162, according to the union. Weil said the rejected contract would also have required newly hired teachers to enroll in a high-deductible health insurance plan and would next year impose a co-pay for prescription drugs. Like many school districts in the Philadelphia region, Upper Darby has battled over tight budgets during much of the last eight years. A report issued earlier this year by a group called Equity First charged that a failure in Harrisburg to fully implement a new state education funding formula has shortchanged Upper Darby of $19.1 million the district should be receiving.